The idea of competing in fantasy football leagues has exploded in recent years, the universal dream of combining James Collins with Robert Huth tempting more and more people to challenge themselves and put together their own vision of a beautiful 11. 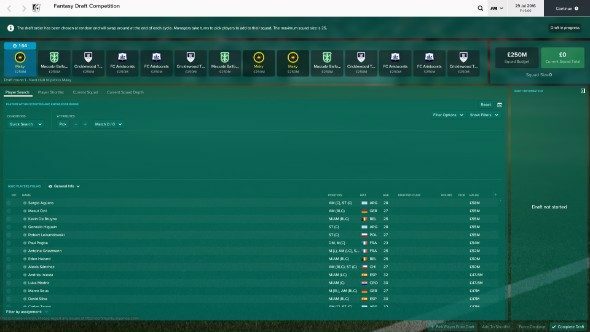 Football Manager got into the act last season through the inclusion of Fantasy Draft mode, but players tended to overlook it in favour of the game types they already knew and loved. 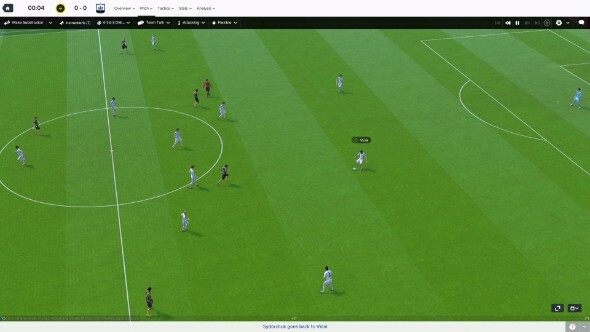 This season, the updated mode should be part of your staple FM diet. Related: the best Football Manager 2017 wonderkids. At its core, the mode is the same as the previous edition. You enter a competition of your own choosing – from an FA Cup-style knockout format to a league format featuring home and away games – and play against others using a team of players that you’ve drafted within the constraints of your limited budget. That budget can be anywhere from £20 million to £250 million and, predictably, where on that scale you opt to jump in has a huge impact on your draft approach. Lionel Messi, for instance, is valued at £68 million. Even with the £250 million option in play, picking the Argentinean leaves you little room for manoeuvre thereafter. You can select up to 25 players for your team, giving you an average of £10 million per player. However, the sensible option is to pick just 18 players, giving you a first team and seven substitutes. Given that you’re playing so few games in comparison to a full season, you should be able to get through your fixtures without having to juggle your team as a result of multiple injuries and can therefore get away with a smaller squad. Even with the 18 player limit, though, your £250 million gives you an average of just £13.89 million to spend per player. Matt Ritchie is around £14 million, highlighting the kind of bargain hunting you’re going to have to do if you decide to pick a superstar or two. Take the time to research the player list and you can still come up with a formidable team. I managed to group together a midfield three of James Ward-Prowse, Bastian Schweinsteiger and Thiago Alcantera, with Douglas Costa, Diego Costa and Dmitri Payet ahead of them. In defence you’re scraping the barrel a little. While it wasn’t the dream of Collins/Huth, there was little wrong with the centre back partnership of Chancel Mbemba and Daniel Ayala. My subs bench, however, was a different story. The key to putting this team together, and here’s a pro tip for you at this early stage of Football Manager 2017’s life, is Schweinsteiger. Fantasy Draft valuations are not transferred over from the full game, instead they’re determined through its own pricing system. The price of a player is based on factors ranging from their personal stats, the club they play for, their age and global reputation. Schweinsteiger’s reputation and personal stats are high, but his age works against. More than that, however, he is listed as part of Manchester United’s under-23 squad, meaning his valuation is at rock bottom levels given the poor reputation of the team in the wider scheme of football. Snap him up, play him in a withdrawn midfield role where his lack of pace is difficult to expose and build the rest of your 11 around him and his tiny fee. The single best addition to Fantasy Draft this year is that you can play on your own against AI competitors. Last time around you could only set up games in multiplayer, locking you into the difficult task of making sure you and your friends are in possession of the same gaps in your schedule. Given that Football Manager attracts an older average audience than most video games, this schedule collaboration is easier said than done given the responsibilities of jobs, kids, partners and the desire for early nights. Fantasy Draft outings, from initial draft to crowning a winner, can be wrapped up in about an hour if you’re playing solo, making it the perfect option for when you’re without friends for the evening and at a lose end. 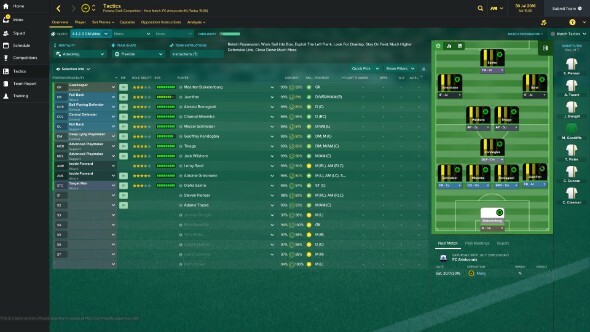 Sometimes you’ve got only limited time to spare and you don’t want to have to go through the details of starting a new career game, working out your key squad players and which you can let go, identifying new targets, assigning training schedules, establishing scout networks and getting to know your backroom staff. 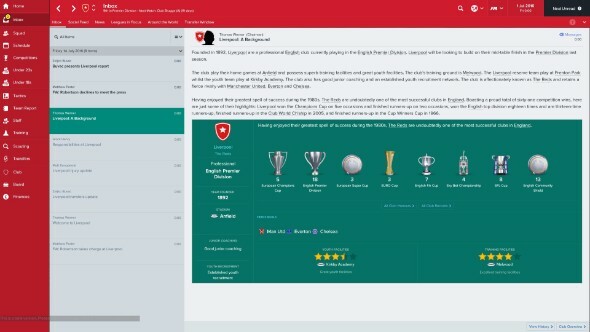 Instead, Fantasy Draft gives you the ability to start and close a whole game in an evening, a reality that has been impossible in past Football Manager releases. The other major benefit of being able to play against AI is that, in a sense, it allows you to cheat. Let’s say you’re playing as Portsmouth and you’re thinking about signing a new player, perhaps Grimsby Town’s Omar Bogle to help sharpen your attack. Money is tight and any mishap in the transfer market is going to be costly – after all, you’re playing in League Two and money isn’t so quick to regenerate as it is for Premier League clubs. What you might choose to do is jump into Fantasy Draft and snap up your Pompey first team along with Bogle and play him alongside your current players, perhaps testing out a few tactical options, in an effort to predict how he might fit in over the longer term. Think of it like a high-tech research tool, the running of simulations to ascertain the correct future moves in the market. Isn’t that what Football Manager is really about? For some, the ‘game’ isn’t a game at all. Instead, it’s another way to engage in the joys of a sport that has taken over the world. It allows us to learn about new teams and players and understand tactical systems in a way that even the most robust scouting network would struggle to match. Fantasy Draft, whilst initially seeming like a sacrilegious entity that undermines the struggle for success that characterises time spent within each of this franchise’s annual releases, feeds directly back into this core loop of learning and information gathering. Fantasy Draft isn’t going to take over your Football Manager life, but you’d do well to make it a part of it.